You’ve been to the Liberty Bell, Penn’s Landing, and Pat’s probably a hundred times if you live anywhere near Philadelphia. We love those famous tourist attractions as much as the next guy, but our favorite destination in Philly is a tucked-away little neighborhood near Philly U called East Falls. If you’re looking for something fresh to do in Philly and are into history, royalty, nature, great food, unique mom and pop shops, or beautiful architecture, you need to check out some of our favorite places in this hidden Philly treasure! 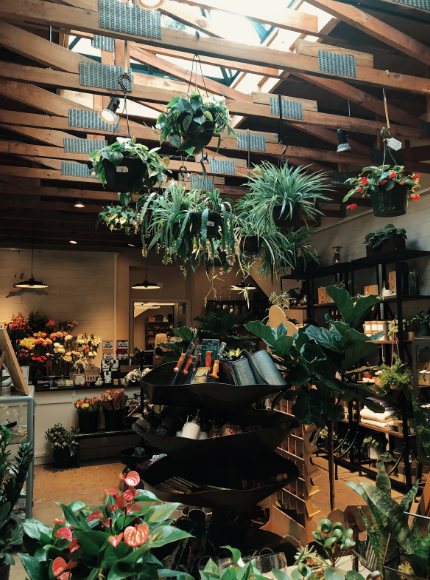 This dual coffee and flower shop focuses their brand around the local community. Starting as a floral shop, Vault and Vine wanted to expand to a comfortable space for locals to hang out at. They serve vegan pastries (which are delicious) and use eco-friendly cutlery. Local made jewelry and other accessories are sold there as well. Come support your local businesses and buy a cup of delicious coffee, a bouquet of flowers, and a handmade ceramic necklace at East Falls’ cutest shop! Many people have heard of Grace Kelly, the award winning actress alongside the likes of Bing Crosby and Ava Gardner. They also know Grace Kelly as the Princess of Monaco, but many do not know that she is from the quaint town of East Falls. Kelly was born at Hahnemann Hospital in Philadelphia and then attended Ravenhill Academy for girls. She was very involved with her community as she played the lead role in Don't Feed the Animals, which was a play produced by the East Falls Old Academy Players. 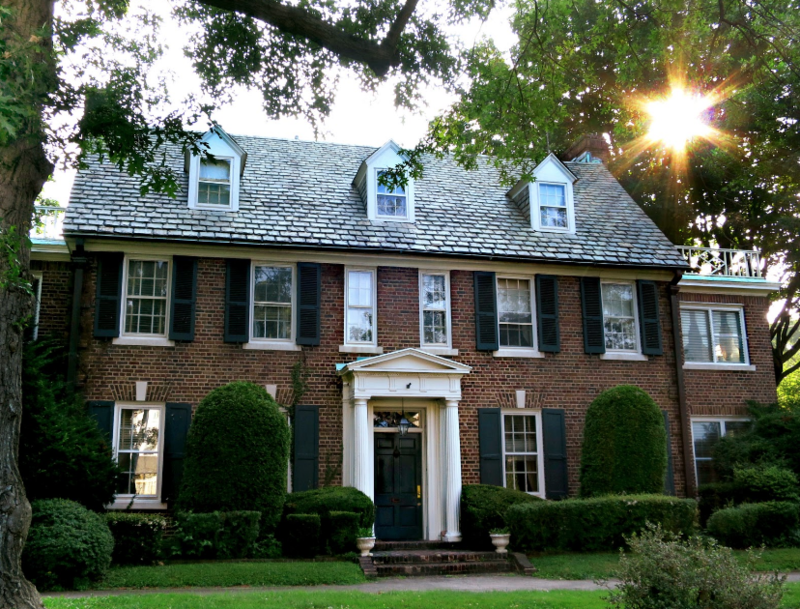 The home that Grace Kelly was raised in was still stands today in East Falls. This traditional home built by Kelly’s father can be seen today at 3901 Henry Avenue in the heart of East Falls. The East Falls Library opened its doors June 1st, 1901 and was built for the purpose of worship and education. The East Falls Library was also an important place to the start of Grace Kelly’s career as the library was also used as a theater. The Falls Library was renovated numerous times and the building standing today opened in 1913 and features English collegiate architecture. Today school children from across the street utilize the library for their computers and wide array of books. 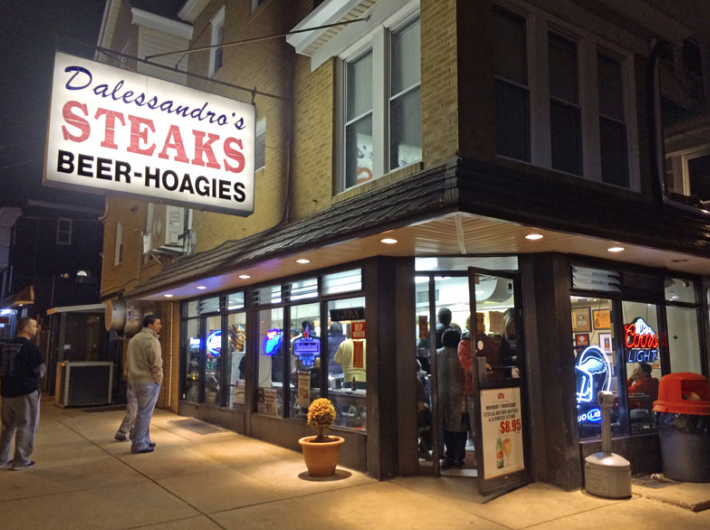 ﻿Eat a cheesesteak like a Philly local at Dalessandro’s in East Falls’ neighboring town, Roxborough. Try a “cheesesteak wit,” or the many other options that Dalessandro’s has to offer. Along with cheesesteaks, another Philly staple is sold there, hoagies. Ranked people’s and critics choose year after year, Dalessandro’s is definitely worth a try. The Falls Bridge, which is still in use today, serves as a prominent landmark within the East Falls community. Opened in June of 1895 and with a length of 556 feet, Falls Bridge spans the Schuylkill River in Fairmount Park. The next time that you are in area, make sure to walk on the bridge to see the beauty of East Falls for yourself!! Fun Fact: The emblem on the bridge was the inspiration behind the Historical Society’s logo! Curious about the history of any of these places you visit? Be sure to check out the East Falls Historical Society archives and tag them in photos of your visit! 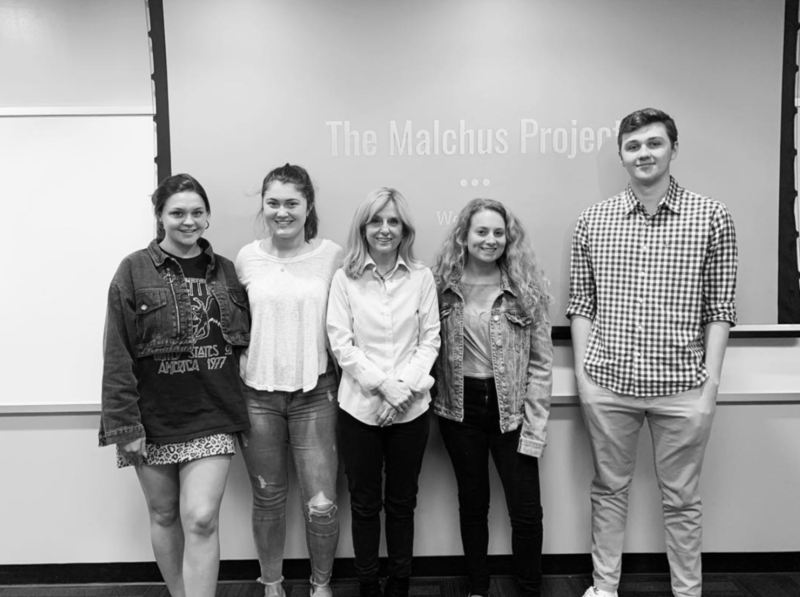 This semester, our group has had the pleasure of working with a non-profit called The Malchus Project. The founder of the non-profit and our community partner is Nancy Grogan, who is a Catholic woman and lawyer from Philadelphia. The non-profit informs the public about gun violence and gun laws, as well as shares dialogue about the issues from the perspective of the Catholic Faith. Through working with The Malchus Project, we have rebranded several aspects of their online presence through the creation of a new logo, statistic infographics, and an image bank. Nancy Grogan shared a glimpse of why she started the non-profit, what it means, and what effect she would like to see as a result of producing this project and conversation through our Q&A with her. What is the Malchus Project and how did it get started? What inspired you to start it? The Malchus Project is the result of an evolution of ideas involving gun violence and the role of faith in guiding conscience and policy. I have been a gun reform advocate for several years, working for legislative change to reduce injuries and deaths caused by guns. Although encouraged by positive changes in the law, I became struck by the enormous divide between pro and anti-Second Amendment views, as well as by the depth and emotion associated with them. In addition, I observed first-hand the frustration felt by reformers at the piecemeal pace of legislative change. I arrived at the conclusion that legislative reform, however valuable, is insufficient to effect lasting change. A more comprehensive approach is needed. Simultaneous with this conclusion, I noticed that the Catholic Church was underrepresented at every gathering, conference or initiative by faith leaders seeking gun reform. A distinctly Catholic voice was needed. I met Marvin Lim, a civil rights attorney and gun reform advocate, and together we collaborated on several written pieces, and I launched Philadelphia Catholics For Fewer Guns. In December of last year, Yale graduate and Catholic author Patrick Hayes joined our board, and the three of us launched the Malchus Project as a continuation of Philadelphia Catholics For Fewer Guns. What do you hope to come out of the Malchus Project? Our primary mission is to illuminate gun reform within the context of Catholic and Christian faith. My experience as a Catholic working for gun violence prevention has been the surprising realization that many Catholics are not aware that Catholic teaching on the issue even exists. It does exist, and it is firmly grounded in scripture, sacred tradition, and Catholic social teaching. The first objective, therefore, is to facilitate broad dissemination of the Catholic perspective on the relationship among individuals, society and guns. The second objective is related. We serve as a forum for research, study, reflection, and application of the type of developed analysis which Catholic social teaching has historically applied to other social issues, such as racism and poverty. The gun reform debate is difficult and there are no easy answers. However, we don’t have the luxury of pretending the problem doesn’t exist. We hope that faith will illuminate the conversation and unite diverse perspectives toward the common good. Who is your audience – Catholics? Non-Catholics? From what I can tell, the audience has been primarily Catholic at least in general orientation. However, our audience includes many individuals from different faiths, and the intention is not to be exclusive. I started this initiative as a Catholic because that is what I know, having been raised and educated in both the faith and tradition, and still practicing today. There are several uniquely Catholic principles in play here. First, we believe in both faith and good works, not one without the other. If we believe something, we have an obligation to work for it. Second, we are guided by the principles of Catholic social teaching, one of which is the preferential option for the poor. Gun violence affects the poor disproportionately, and for the urban poor, the threat of sudden and random death or injury is a daily reality. We cannot overlook this fallout which follows from the right to bear arms. Pope Francis, in his recent visit to the United Arab Emirates, gave a loud call for cooperation between people of all faiths. I have had the privilege of working with and learning from individuals of all faiths in gun violence prevention, as well as with those who practice no religion at all. I hope this cooperation continues, both in terms of readership and in terms of future contributors to the initiative. There is much to learn and much work to do. How does the Catholic perspective on gun policy play into how your audience receives it? I think that people receive messages according to their personal experiences, belief systems and values. I am fortunate in that I have no direct experience with gun violence. I do not know the personal experiences of all our readers, and I hope that our work contributes in some way to enlightenment, unity, hope and healing. What I do know from my own experience, however, is that there are many Catholics who are searching for meaning and relevance, and who wish to do the right thing in a world which often seems confusing and hopeless. These are real world problems which affect all of us, but especially the poor and vulnerable, and I think our faith has something to say. It should be stated clearly and simply. How do you utilize Facebook and the website to get your message across? Like many who were not educated in the digital age, electronic communication is not my “first language,” and I always have the nagging impression that there is more I can be doing to maximize the scope and impact of our message. That is why I am so privileged to work with the talented students of the Beautiful Social Research Collaborative. I have typically utilized Facebook as a means for communicating short introductory messages and links to lengthier essays, as well as links to events and partner initiatives. My goal is to learn more about adding variety to the messaging, as well as how to better utilize other social media platforms. We are so grateful for the time we have spent working with Nancy, as well as getting to know The Malchus Project as a whole. This non-profit not only sheds light on an imperative issue in American society, but also on a religious perspective that people may not understand to the fullest. We hope that our work with Nancy and The Malchus Project has a positive impact on the community of gun reform, both now and in the future. TechActivist is a nonprofit organization that works to educate and mobilize populations of people that have faced oppression due to race, ethnicity,or gender. Idalin Bobe the founder of the group started TechActivist saw that technology played a large part in isolating minority groups and from there decided to start doing workshops. Currently, the organization hosts workshops on coding, data analytics, graphic design,politics and many others. TechActivist collects cash donations as well as used laptops or other technology. TechActivist is currently accepting donations for their Tech Warrior Fellowship. How did we feel before meeting with Idalin? We had never heard of TechActivist.org before joining Beautiful Social. We were excited to learn about an organization that was brand new to us. When our group was first formed, our project was very vague. We knew that we were going to be working with Idalin on something relating to fundraising. We had done some research and was able to learn more about TechActivist and Idalin. We were excited for this journey to grow and learn throughout the process! How did we feel after meeting with Idalin? Not knowing a lot about what exactly our end goal for the project with Idalin would look like, we approached our meeting with her ready for guidance and a little bit more structure. After being provided with the information that we would be developing two slide decks one for a radical audience and one for a more conservative audience we felt more prepared to start the project. Also after speaking with Idalin, we felt more connected with her ideals and values, something that we felt would help us bring more passion to the look of the slide decks. It was pretty cool to work on a sponsorship deck because we were able to bring the best of us for this project. Since Idalin gave us freedom, the four of us could use our creativity and come up with really interesting ideas. However, we sometimes struggled because we wanted to follow a criteria and not do something that doesn’t match Tech Activist’s mission. Overall, we learned a lot in terms of communication skills and group work. We also feel positive about our work because we met the standard of what the deck should look like for this specific audience. Beautiful Social is excited to announce our thirteenth, fourteenth, and fifteenth Foley Fellows: Madison Auer, Emma Brenner, and Kelly O’Malley. Abbey Piro, will continue as a Fellow in the Spring 2019 semester. Foley Fellows are named for John Cardinal Foley, who served as Grand Master of the Equestrian Order of the Holy Sepulchre of Jerusalem from 2007 to 2011 and held the position of Vatican correspondent for the Philadelphia archdiocesan newspaper. The Fellows are exemplary students who function in ways similar to Project Managers: they act as liaisons between the clients and the student teams and help the teams succeed in their projects. Fellows also perform in ways similar to teaching assistants in that they lead class discussions, plan and take part in Beautiful Social activities, and work with the Director to ensure the program is living up to its mission and values. We asked Madison, Emma, and Kelly to introduce themselves. Here's what they had to say. Hi! My name is Madison Auer and I am a junior at Saint Joseph’s University. I am a Communications major with a minor in Art and I am from Catonsville, Maryland. I am so thankful for all of the diverse opportunities that Saint Joe’s has introduced into my life. On campus, I love the variety of activities that I have been able to involve myself in. Currently, I am the Crew Captain for our Saint Joseph’s Love Your Melon Campus Crew. I also work at Saxby’s café, the newest student run café location on campus. In the past, I have also loved participating in a variety of service programs, from PSIP to Magis. Outside of campus, I also run and maintain my bead business, madauer beads. I have always loved creating new bracelet designs, and I draw much of my inspiration for them from my time at the beach, while I am close to the ocean. 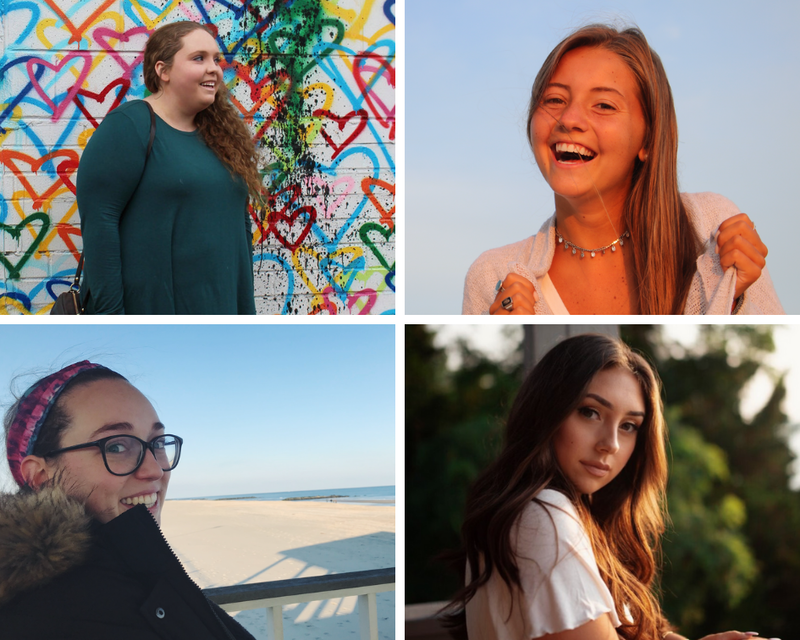 I also pursue my love for photography, style, décor and writing through my personal blog, which I started during my freshman year Communications course at Saint Joe’s. I love combining my interests in fashion, writing and photography, and I look forward to ways that I can continue this in my future. Something that I love about Saint Joe’s is the presence of service. Serving others always seems to present itself at the center of everything I do at Saint Joe’s. This was something I didn’t realize I valued so highly when considering my future home for school, but now I see its importance even more, especially after beginning my Communications courses at Saint Joe’s. I first heard about Beautiful Social during one of my freshman year advising sessions. I was immediately captivated and inspired by its course layout and mission. I knew it was a class I needed to take, and in the future, serve as a fellow for. I enrolled in Beautiful Social the fall semester of my sophomore year where I had the opportunity to work with Ubuntu. Now, I am so grateful and extremely excited to serve as a fellow for the spring semester. I am inspired by the mission to promote positive social change through social media, as well as the focus on the human person within B:Social. I cannot wait to engage with our non-profit organizations and share the stories of the people that we meet with! Here’s to another amazing semester of B:Social at Saint Joe’s. Hello, everyone! My name is Emma Brenner and I’m a junior Communications major from Tinton Falls, NJ. Here at SJU I’m involved as a crew member of the Love Your Melon crew as well as a committee member of Relay for Life, two organizations that mean so much to me. I am so excited to a Foley Fellow for Beautiful Social this spring! Last semester, I was fortunate enough to be a student of Beautiful Social, working as a consultant for Alex’s Lemonade Stand Foundation. This experience was unlike any other I have had, as it allowed me to truly appreciate the gift that is the Beautiful Social program. Being a student of this course has ignited a passion in me about using social and digital media to implement meaningful change, and I felt that my journey with Beautiful Social wasn’t finished, which is why I applied to be a Foley Fellow! I am a firm believer in the idea that if we use social media the right way, we can make a difference in our world. B:Social is a direct example of that. I feel so privileged to have taken a course in which we are able to encounter real life situations and scenarios, and use what we have learned as Communications students to produce meaningful work. I am looking forward to my future as a Foley Fellow, and I am even more looking forward to growing as a student and person. I hope to enable new student consultants to find their own meaning of what Beautiful Social means to them, which can end up being the greatest lesson. Hi everyone! My name is Kelly O’Malley and I’m a junior Communications major with a minor in English, originally from Stratford, Connecticut. On campus, I choose to stay involved by participating in organizations such as the Phi Sigma Sigma Fraternity and Relay For Life. This upcoming semester, I am beyond excited to serve the Beautiful Social Research Collaborative as a Foley fellow! For as long as I can remember, I’ve had a passion for all things creative. Whether it be within literature, music, art, or photography, I appreciate any area where I can freely express myself. What I admire most about the Communications department here at SJU is how students are able to do social good through these outlets! B:Social has truly provided me with the space and accommodations to be creative whilst helping the Philadelphia community. This past semester, I served as a student consultant for the collaborative and was granted the opportunity to be a part of something bigger than myself. Because of Beautiful Social, I worked alongside a local nonprofit where I got to interact with students, faculty, and all those who participate in urban education reform. It was such a rewarding and unforgettable experience. Going forward, I cannot wait to take on this role alongside the other fellows. Here is to more change, connection, and togetherness in 2019! The collaborative will host a study break at the library on “Reading Day,” December 11, 2018. at 11 AM. This session features a professional meditation instructor from Mainline Mediation who will lead an introductory meditation session for all Saint Joseph’s University students. This program introduces students to a mindfulness practice for stress reduction. Meditation can provide students with powerful tools for coping with stress, anxiety, and personal growth. Healthy snacks will be provided. Ubuntu’s mission is to create a space of healing between people who have caused violence and people who have been impacted by violence. Recent court decisions have paved the way for the release of many juvenile lifers. The reentry of many juvenile lifers brings celebration to their families, but survivors of violence and the families of victims do not always feel the same way. Ubuntu aims to create an open discussion surrounding this topic. Rosalind Pichardo being interviewed by Breanne Welsh. We were fortunate enough to meet with two incredible figures in the restorative justice community in Philadelphia. Rosalind Pichardo founded “Operation Save Our City” after her brother was murdered. The organization focuses on the families of victims to help them cope with their losses and to bring justice for the crimes. Additionally, Rosalind is a survivor of violence herself. Now, she works to be the voice for families and to help her community by breaking these violent cycles that have such a large impact on so many individuals and families. We also met with Kempis “Ghani” Songster, a juvenile lifer who recently received parole. Ghani served thirty years at Graterford Prison and was released in December. Ghani spent his time at Graterford by self-reflecting, learning, and earning a degree through Villanova University. In the time since his reentry into society, he has been involved with speaking engagements, such as the PBS podcast "The Frontline: Dispatch”, and works at a gym while advocating for juvenile lifers. We were struck by his profound and moving knowledge and wisdom. In the process of creating our promotional videos for Ubuntu, we realized how emotional and personal the topics surrounding this event can be. We knew it was important to be aware of the sensitive nature of the issues associated with Ubuntu and The Redemption Project. Before our interviews, we met with Mike Lyons, Communications professor at SJU and co-founder of both Ubuntu and The Redemption Project. Mike provided us with tips to use when we conducted our interviews. We found that these tips were extremely useful when addressing sensitive topics and allowed for us to produce interesting, informative, and emotional interviews with Rosalind and Ghani. As an interviewer, it is your job to take advantage of the opportunity to capture the voice and story of your subject while maintaining a professional and considerate atmosphere. Here are some tips on what to do and what not to do when interviewing subjects about sensitive topics. Kempis "Ghani" Songster being interviewed by Megan Bevilacqua. Understand the topic of your interview, for example the issue of restorative justice, before going into the interview. Take the time to do as much research as possible to learn the facts about your interview topic and learn about the story of your interviewee. It is important to be an informed interviewer as well as a knowledgeable listener. This shows that the time spent with your subject is valuable, and it also allows you to have a productive interview. Showing the subject that you, as the interviewer, have taken the time to perform background research on them or their organization will allow you to ask relevant, clear questions that the subject has knowledge and can elaborate on. Being knowledgeable about the subject’s background will help them to feel more comfortable and make your interview more productive. Approaching the interview with consideration and effort before it begins will allow you to make the time spent interviewing worthwhile and to get some great material. Keep in mind a goal of where you'd like the conversation to go, but keep the interview conversational. The interview will flow much better and be more successful if it is conversational. Actively listening and having a conversation, rather than jumping from question, will help build a sense of trust between the interviewer and the subject. It is more effective to listen to the subject’s answers and build off of there so that the interviewer can make the most out of what the subject is saying. Information can be lost or forgotten if active listening is not practiced, and the interview can seem forced if there are too many unrelated questions being asked. 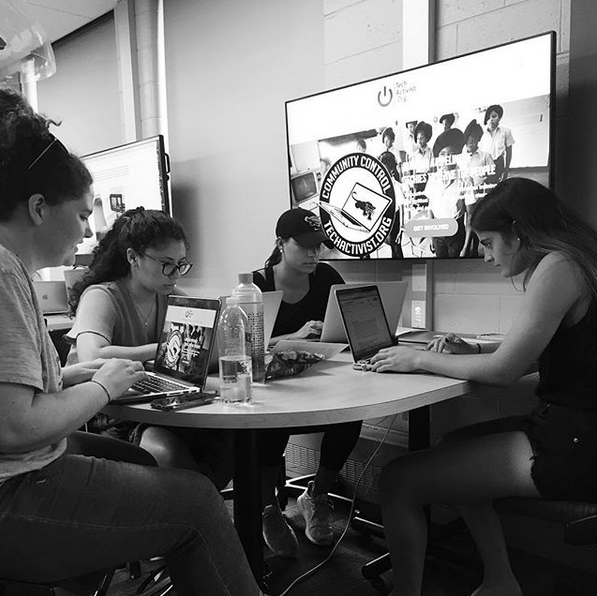 Over the course of the semester, we as student consultants with Beautiful Social become deeply involved with our partner organizations: learning about their mission, studying their websites, telling our friends and family about the great work that they do, and so on. We become passionate about topics that we weren’t as conscious of before we began our client partnerships; our group’s work with the Juvenile Justice Center of Philadelphia has led us to research issues currently affecting foster youth and their families. Learning about JJC’s mission made us curious about the structuring of nonprofits and how they use their resources to attract volunteers, encourage potential donors, and reach clients who may benefit from their services. Saint Joseph's University students already have access to a fantastic Weekly Service program that connects us to several local nonprofits, but Beautiful Social consultants, or anyone inspired by the work that Beautiful Social has done, can use the spark of that new interest in nonprofit work to help other local organizations even after our partnership with our clients, and with Beautiful Social, has ended. Following is a list of a few Philadelphia nonprofits student consultants can become involved in. The Center for Literacy offers free classes in English as a Second Language (ESL) and GED preparation, as well as adult education services in subjects ranging from math to writing to résumé writing and career preparation. Learners at the CFL come from all over the world and from all different walks of life. One current CFL student went from having no English proficiency to applying for master’s programs. Volunteers for the CFL can be from any academic background; requirements are only that potential volunteers attend three mandatory training sessions and either have a bachelor’s degree or pursuing one. Covenant House is a national nonprofit that provides shelter, medical services, and vocational training to young people under 21 experiencing housing instability. 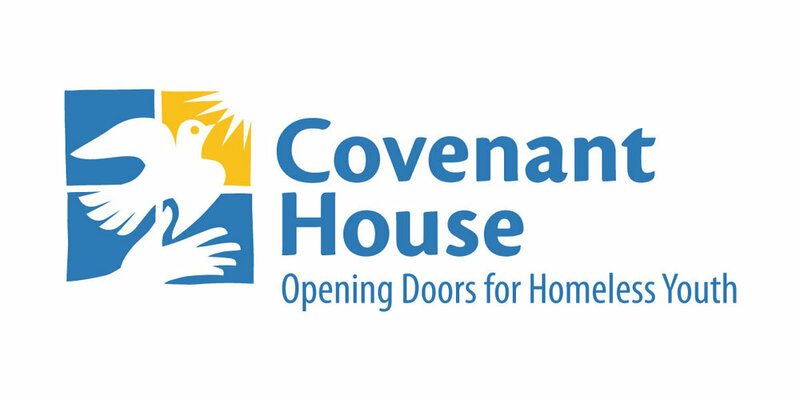 Covenant House’s approach to serving the unique needs of youth who have experienced homelessness is careful and intentional: only residents’ immediate needs, such as meals, medical attention, and sleep are addressed during the initial phase of their stay. Once their immediate needs have stabilized, residents consult with staff about connecting their interests and abilities to one of Covenant House’s vocational training programs, referred to as the CHOICES (Covenant House Orientation in Career Enhancement Skills) program. The unique Rites of Passage program supports former Covenant House residents who are currently employed. Participants pay rent while in the program, which is returned to them at the time of move-out to put toward housing costs in a place of their own. Volunteers with Covenant House need to be at least 21 years old and complete training provided by the organization. If you aren’t yet 21, there are still ways to become involved! The DYI fundraising program invites supporters to create their own individual campaigns for Covenant House. For more ways to get involved, Covenant House has a whole informational page about ways passionate supporters can give to the organization. Founded as the Gay and Lesbian Community Center of Philadelphia, The William Way Center is now named after one of its most influential directors during the 1980’s. Bill Way, a planner with the City of Philadelphia. Through its programming, the Center supports inclusion of and creates community for lesbian, gay, bisexual, and transgender Philadelphians. Events held at the Center include art exhibitions and workshops; the Center is also home to a diverse library of over 14,000 books, many of which deal with LGBTQ-related topics. Volunteers are needed to assist with peer counseling, as well as cataloging books and assisting with projects in the Center’s library. The Center also has an informational page about volunteer opportunities, which are also offered on a one-time basis with special events, here. Charitable giving has been steadily increasing every year since 2009. $390 billion was given to charitable causes in 2016 alone. Harnessing the power of social media could mean more success for your organization’s fundraising efforts. 55% of people who engage with social media end up taking some sort of action - 59% of them making monetary donations. Together We Rise is a non-profit organization dedicated to helping those involved in the foster care system. This organization fully utilizes the tools of online media to build and grow the community surrounding their cause. Here are some tips to take from Together We Rise to boost social media giving. Not only does the organization show what they use the money for but where they use it. They provide a map on their website that shows where in the United States the money goes to. Together We Rise helps those in the Foster system all over America by giving back to the regions in which donations come from. People give when they experience an emotional connection with an organization. Being a convincing storyteller in these digital spaces will help to establish this charitable relationship. Through the content created on various social platforms, as an organization, donors and potential donors can tell who you are as a non-profit and showcase those who experience the direct impact of work from the organization. Together We Rise posts photos of children they help see through the adoption process. They showcase mainly the children on their social media platforms. The idea of family is a prevalent theme for this organization and their involvement in the foster care system. The photos of these children allow for donors and potential donors to be inspired to give for many reasons - maybe the children remind them of their past in foster care, maybe they are already foster parents, maybe they are looking to adopt or maybe these children remind parents of their own. Whatever the reason, these photos provide a level of digital storytelling that invites their audience of 36.6k Instagram followers, 66.4k Twitter followers, and 604k Facebook followers to connect and engage in a deeper relationship with the organization. People also tend to donate when they see how much of a difference donations have made to the organization. Showing and telling your audience what past donations have contributed to can inspire people to donate again, or to donate for the first time. Having a call-to-action in your message is another important aspect when trying to get people to reciprocate their donation, or add to the current donations. In the tweet Together We Rise composed, they used a call-to-action by telling their audience to “Help us do more” and provided a link to their donation site. Along with a call-to-action, you want to make it easy for your audience to act on your call. Providing a link, phone number, or information regarding the next step is recommended. Having a call to action is important when marketing your organization, whether you’re trying to get someone to buy your product, donate, or subscribe. On the Together We Rise Facebook page, they have their “Donate” button visible and easily accessible for the viewer. It’s also a good strategy to have your call-to-action across your different modes of social media and communication with the audience. This way, no matter where the prospect donor, or consumer is looking at one of your many profiles, they have the opportunity to seize their call to action and donate.